A motorcycle vs. car collision took place on Monday morning in Hyannis, Massachusetts. The crash was reported to Barnstable police at approximately 11:30 am. Upon receiving the reports, police responded to the intersection of Falmouth Road and Strawberry Hill Road. Once there, they discovered that a motorcycle and vehicle had collided with one another at the intersection. The area was blocked off while officers investigated. At least one person was injured in the collision although they have not been identified as either the motorcyclist or vehicle operator. The injured victim was transported to Cape Cod Hospital. As of this time, their injuries do not appear to be life-threatening. The accident remains under investigation by police. Motorcycle accidents frequently result in severe injuries. A motorcycle naturally does not have the same protection as a car when it comes to roadway collisions. 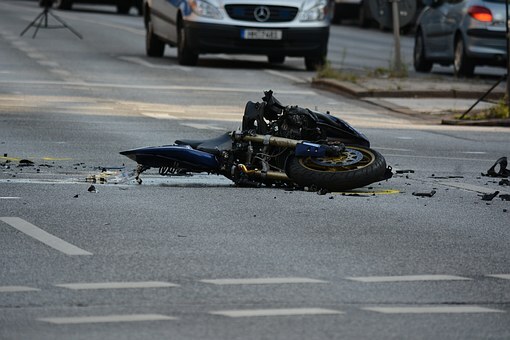 In motorcycle accident cases, it is very important to determine the sequence of events leading to the crash. Motorcyclists often take the blame for crashes which are not their fault. Motorcycle drivers therefore may find themselves at a disadvantage in a personal injury case. The insurance company may be skeptical of an accident involving a motorcycle. It is important to have an experienced attorney who knows how to handle these types of matters in order to protect your rights. At the Law Offices of Jeffrey S. Glassman, we have vast experience both litigating and negotiating motorcycle accidents. If you have been hurt in a motorcycle accident, you need to speak with an attorney before you speak to the insurance company or give any statements about the accident. Even one conversation with an insurance adjuster can jeopardize your entire case if you are not prepared for the types of questions they ask. We we know the most effective strategies to help you win your case. Let us handle the details and work to get you a successful outcome. If you’ve suffered injuries in a motorcycle accident that was not your fault, call us now at 617-367-2900. The consultation is free and there is no obligation on your part. Our firm fights for our clients and we treat every case as if it were our own. Give us a call today.